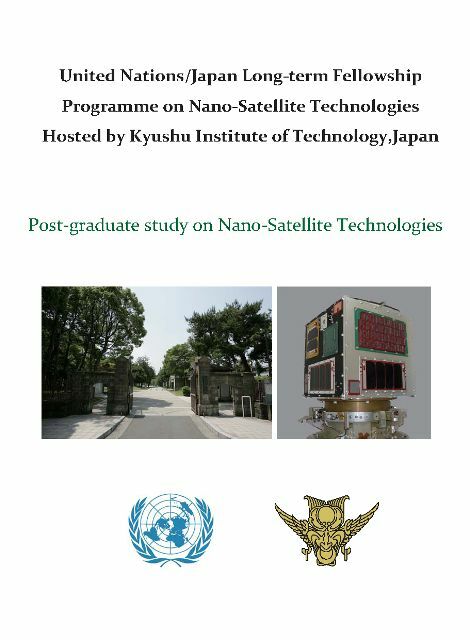 The United Nations Office for Outer Space Affairs and the Government of Japan in cooperation with the Kyushu Institute of Technology (Kyutech) have established a United Nations/Japan Long-term Fellowship Programme on Nano-Satellite Technologies for nationals of developing countries or non-space-faring nations. The Programme will provide extensive research opportunities in nano-satellite systems through the use of the nano-satellite development and testing facilities available at Kyutech. 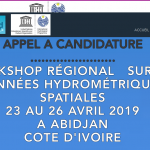 Every year this “Post-graduate study on Nano-Satellite Technologies (PNST)” Fellowship Programme will accept up to three students in the Masters course (2 years duration) and up to three students in the Doctorate course (3 years duration). Successful participants will be awarded a master or doctorate degree after successful thesis defence. The successful candidates will enroll in the Space Engineering International Course (SEIC) after passing an official entrance examination by the Graduate School of Kyushu Institute of Technology. The selected candidates will each receive a grant under Japanese government (Monbukagakusho: MEXT) scholarship (Research Students) of approximately 144,000 JPY per month for the duration of their fellowship study (2 or 3 years) to cover housing, food, local transportation, and other expenses. Each candidate will be provided, according to his/her itinerary and route as designated by MEXT, an economy class air ticket between an international airport in the country of his/her nationality and Narita International Airport or Fukuoka International Airport. Fees for matriculation, tuition and entrance examinations will be paid by Kyutech. The purpose of this fellowship is to help non-space-faring nations join the community of space faring nations. Consequently, if you are selected as a PNST Fellow through the aforementioned process and you earn your advanced degree at Kyutech, you have an immense moral obligation to return to your home country and contribute to it. This is the central expectation of both UNOOSA and Kyutech. Applications for the Fellowship Programme will be accepted until 20 January 2019.